Easy to fit and remove. 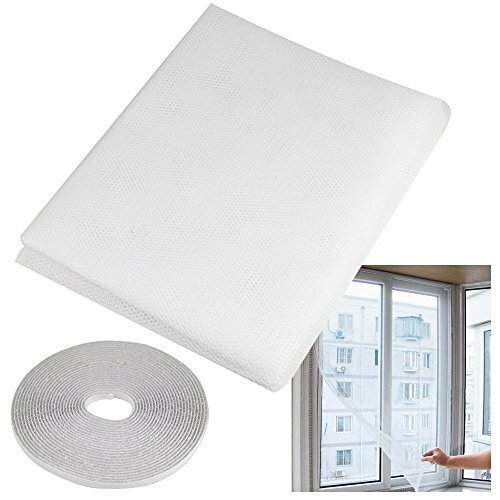 Leave your windows open enjoy fresh cooler air;You simply cut & put our clear tape on the edges of your window frame;Size: 150cm x 140cm. Velcro tape length: About 550cm. Colour: white;The stickness of the tape is not so strongÂ£Â¬extra sticky tape needed for further fixing, please take care before purchase;DonÂ¡Â¯t worry about Spiders, Moths, Mosquitoes, flies, wasps, bugs etc!